Mental disorders affect most societal sectors. 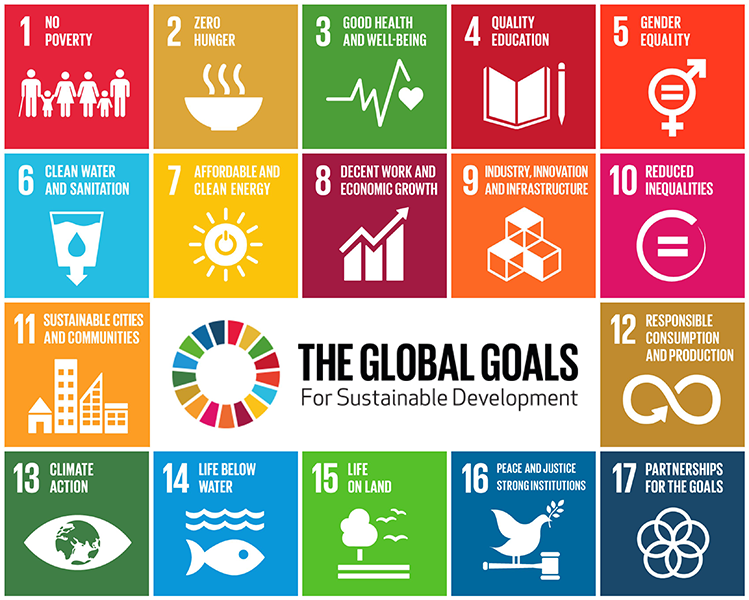 Since 2015, the UN Sustainable Development Goals (SDGs) have been calling to “transform our world”. With 17 goals, 270 targets and measured though 230 indicators, the SDGs are complex, and prioritising and implementing them is challenging for many countries. Mental health cross-cuts most SDGs and has been given explicit focus in two SDG targets. Implementing the mental health suicide target can help countries to tackle cross-societal issues, impacting many of the SDGs, and to improve and save lives of millions. Investing in mental health campaigns to prevent suicides, reduce stigma and improve treatment are the key steps we need. Every 40 seconds a person dies from suicide. Almost 2,200 people take their own lives each day — 800,000 people per year — in countries with both high-functioning health systems and with basic health provision. Depression, bipolar disorder, substance use and addictions, and other mental disorders affect at least one in four people. In most cases, these disorders are untreated and cause excessive suffering, frequently leading to suicide. Suffering and deaths that could in millions of cases be treated and prevented. States are failing these people through underfunding; through lack of measures around prevention, provision and adequate care of mental health policies and practices; and because people don’t seek help because of stigma and discrimination. The SDGs call on countries, by 2030, to reduce premature mortality from non-communicable diseases by a third through prevention and treatment and to promote mental health and well-being (target 3.4, indicator 3.4.2). They ask nations to strengthen the prevention and treatment of substance abuse, including narcotic drug abuse and harmful use of alcohol (target 3.5, indicators 3.5.1, 3.5.2). And, they call for universal health coverage (target 3.8, indicators 3.8.1, 3.8.2), which mental health is part of. The UN, WHO and others are regularly monitoring countries’ progress. But implementation of the SDGs is voluntary and selective, and policymakers still need to actively pursue the implementation of mental health targets. A state of good mental health enables people to realise their own potential, to cope with stress, to work productively and fruitfully and to contribute to their communities. Ill mental health inhibits people on all levels. Mental disorders affect most societal sectors, and, while not clearly recognised in the SDGs, mental health intersects with and influences most of the other SDGs. Poverty eradication (SDG 1), nutrition (SDG 2), health (SDG 3), education (SDG 4), women’s empowerment (SDG 5), decent work (SDG 8), sustainable cities (SDG 11), sustainable consumption (SDG 12), climate change and disaster recovery (SDG 13), peaceful and just societies (SDG 16) and partnerships (SDG 17) — all of these are linked to mental health. Co-morbidities and social and economic conditions all influence mental health. Social determinants, such as poverty, war, violence, hunger and inequality, are risk factors for mental health and increase the chances and severity of mental illness. On the other hand, the safer, wealthier and more equal countries are, the better on averagepeople’s mental health. Sustainable changes and population improvements will only take place if social determinants are addressed. Mental disorders have also been identified as a global barrier to sustainable development. Mental ill health prevents countries from reaching the SDGs and prevents economies from growing. How should countries address mental health? Beyond saving and improving countless lives, investment in mental health care increases productivity and gives return on investment. The World Bank has identified interventions that are feasible, affordable, cost-effective and scalable in all economic settings. The best approach, suggested by the 2013 WHO mental health action plan, is a multisectoral strategy, which combines universal and targeted interventions for promoting mental health and preventing mental disorders, and which reducing stigmatisation, discrimination and human rights violations. Key to this approach are dedicated mental health legislation and regulations for promotion and prevention; reducing the use of alcohol; restricting access to means of suicide; multisectoral legislation to address cross-links; strengthening the workforce for primary and community care; and including people with lived experience of mental illness. The WHO Mental Health Gap Action Program (mhGAP) and the Mental Health Action Plan 2013-2020 provide guidance for national action plans, particularly under lower resource settings. Projects addressing the SDG mental health target, like mhLAP in West Africa, demonstrate the importance of establishing national policies and of collaborations with local and international stakeholders. International collaborations like PRIME and AFFIRM research and work on improving treatment coverage for priority mental disorders in Africa and Asia.Suicide prevention initiatives such as the US National Action Alliance for Suicide Prevention work with national partners on reducing the annual suicide rate 20% by 2025. ChooseLife implements Scotland’s National Suicide Prevention Program 2018 to reduce suicides by 20% over 5 years. Regional campaigns like THRIVE London are targeting city populations for suicide prevention. National leadership for anti-stigma programs can be an important catalyst for change. Campaigns such as Opening Minds in Canada, Time to Change in England, or Like Minds, Like Minein New Zealand are raising awareness in the general public and target schools, workplaces, or via community projects. Social contact with people with lived experience of mental illness is a substantial element of all campaigns. A main challenge remains the extreme underfunding on mental health and research on it. Projects like the INDIGO network collaborate to increase the evidence base for effective interventions in lower income settings. The global burden of mental illness is excessive. But mental health is no longer taboo. People speak out, demand appropriate treatment, elect presidents who suffered from depression, support bipolar athletes and are supported by royals. The WHO and other organisations are supporting countries’ implementation and progress.